Three of the most essential minerals your body needs are Calcium, Magnesium and Zinc and they are all contained in Nature’sField Calcium, Magnesium & Zinc. Calcium strengthens bones and maintain proper bone health. Calcium as well as magnesium is also used to achieve proper muscle contraction and nerve function. 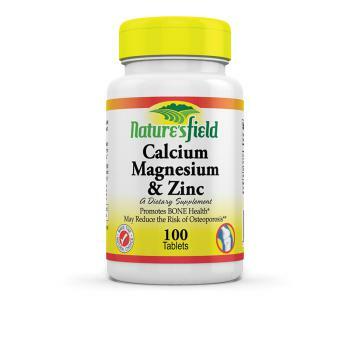 Proper bone mineralization is made possible with the right amount of calcium and magnesium taken in each day. Zinc plays a key role by assisting in the process of cell division and growth.